Hey, everyone! It’s Derek once again. First off, thank you for your tremendous support of Spelunky on PS3 and PS Vita. You’ve made it clear that it was the right choice bringing the game to PlayStation! We’re really happy about how the game has been received (generally with much glee, followed by screams of anguish, followed by more glee). But I’m really here to talk about our first update, which is out now. Of course, every game launches with some number of bugs, and Blitworks has been working hard to fix as many of those as possible. The slowdown in certain areas of the game was probably the biggest issue, and that’s been addressed. They also fixed a bug that was preventing certain Trophies from being earned. Also, if you’ve been watching streams of people playing Spelunky on PC, you may have noticed that that version of the game has a unique feature called the Daily Challenge, where each day a set of levels is generated that has the same seed for everyone playing it. If you get a high score on the Daily Challenge, you can really attribute it to your skill and knowledge of the game, rather than the luck of the draw (i.e. serious bragging rights). On top of that, you only get one chance to play the Daily — if you die, you gotta wait until the next day to try again! So yeah, somehow we managed to crank up the tension of playing Spelunky even higher… and PC players seem to really like it! When Blit heard about this new mode, they couldn’t wait to implement it on PSN. That’s one of the great things about working with them — they love their work and relish the technical challenges of doing an awesome port. 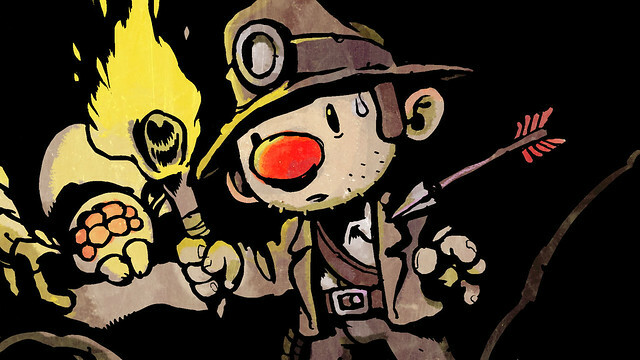 It’s right in line with the spirit of Spelunky and the spirit of the Daily, which, as you may have guessed, you can now play on PSN as part of this update. So enjoy the Daily Challenge. Enjoy the bug fixes and optimizations. Enjoy life. (Enjoy death, too.) Just enjoy. This is fantastic! I’ve really been looking forward to the Daily Challenges. Thank you all so much! This is a great game, and a great port. Outstanding job all around. Like I needed another reason to play this?! This game is so addicting on the Vita! Especially after the whole Eggplant run on PC thing last week, do you or Blitworks have any plans on bringing the game to PS4? The Twitch support would be phenomenal for the console version. Best news ever, my jaw dropped. Thank you so much Derek and the whole PS crew. YES! I haven’t checked yet but do we have quickstart and does it save our selected character skin as well? Those are the two other features I desperately yearn for. This was a really cool surprise for me today. I had no idea it was going to be added to this version, but I’m very happy it was. Thanks to everyone working on this great game! Also I got to stage 1-2 on my inaugural Daily Challenge. Go me! Thought it was a nice addition to Unit 13. Do not own the game, but will consider it even more if it goes on sale. Echoing others’ sentiment. I am so excited to hear this! Spelunky fills most of my Vita time already, and this will only add to that. What a wonderful surprise! Fantastic news. 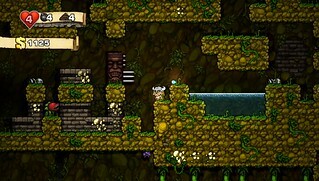 Spelunky is amazing on vita. Thanks! I actually waited for the game to go off sale to buy it since I don’t have it on PC yet! I heard nothing but awesome things so I wanted to pay full price to support. I love it for my Vita, thanks for bringing it over to the handheld! Awesome news! I love Spelunky on the Vita and this just made it better. Will this update also be coming to the XBLA version as well? This is the best news. The best. Thanks for adding it to both versions, but a very big thanks for fixing the fog framerates. What about slowdowns/framerate drops in Vita version? Golden city, Ice caves etc.? Puh-leaaaase bring this to PS4!! Nevermind just downloaded and read changelog. More reasons to play more Spelunky? Great, just when I had set Spelunky down for a bit. Right back at it I guess. For me, playing Spelunky on-the-go is _the_ reason for owning a Vita, a ‘system seller’. Thanks Derek for a truly amazing game, and Blitworks for the terrific port ! Also thank you Sony for making the Vita one of the best places to experience indie gems like Spelunky. I haven’t played this game at all i have been meaning to get it. But now that i have a PS4 who knows when i’ll get around to playing this. Played the daily challenge on the Vita just now, almost all slowdowns are gone and the trophy for killing King Yema now works. Areas that had slowdowns like “Dead Are Restless”, blizzard effects in the Ice Cave, and Hell are working fine now, but City of Gold still has slowdown at times, then again it had a bunch of lava plums in the daily challenge version. Outside of one issue it works great now and makes me happy. Sadly it looks like the game still doesn’t save your Spelunker, always defaulting to the original guy. If you do one more patch, can you add the Quick Start and Saved Character feature along with fixing the City of Gold (if possible). Been playing Spelunky since the XBLA release (been following Spelunky news since the HD trailer), and bought it for the Vita, which i find is great for quick spelunky runs while on the go! And now when i have nothing to do at home, i can challenge my friends to the daily challenge! THANK YOU DEREK! Excellent news! Makes me happy I bought the game launch day. Since i got a PS4! i still turn on the PS3. Now i’ve gotta do it daily! Spelunky Tips part2 Blog post? Everytime I run from Spelunky. It pulls me back in. Derek, I believe you have created “a perfect game”. That’s all that needs to be said. This is one of my top games of all time and it will stay there for… forever. That being said, now that you know you have an addictive, possibly community driven game, you should bring it to PS4. There will be an audience starving for games until 2015 when saturation starts. People will buy this. Especially with existing cross-buy. Please consider it. More reasons to keep playing this awesome game. 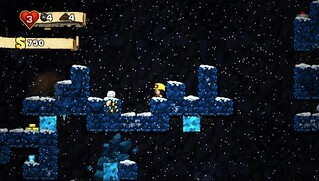 Any chance we can get an update that will add Classic Spelunky graphics? MEGATON. Kill is ******* confirmed! I LOVE this game! and now with Daily Challenge I have more reasons to play everyday! Hi, first of all THANK YOU for the great game and this update! I have a bit of a problem (still) with one of the trophies: “Seen It All.” Prior to the update, I already had 100% of the journal entries, so I want to know if there is any way that I can get this trophy without resetting my data. If not, is there a way to reset all of my trophy info so that I can start over? I know it really shouldn’t matter, but probably like a lot of Spelunky fans I’m obviously a bit OCD. Also, out of curiosity, can anyone tell me what triggers the changes in the lobby or hub area of the game? I know that beating Hell causes the middle right light above the door to light up, for example. Awesome! One of my all time favorite games! I’ve just noticed what (if it isn’t a coincidence) is an especially cruel daily challenge glitch/bug when playing on ps3, which is that if I win the game (normal way or through Hell), my score is not posted to the Daily Challenge leaderboard for that day. Is anyone else experiencing this? Is anyone successfully getting their “win” or “special win” scores posted?